My life in 17 homes over 60 years. From the rushes of a basket on the River Nile, to a mansion in Greenwich, to a cabin in the woods, to an apartment in the Bronx, to a tract house in Mountain View, CA, we all started somewhere. And then we moved and ended up someplace else. Or didn’t. Either way, the journey is the story of our lives. And it is worth examining and recording – for others – but mainly, for ourselves. 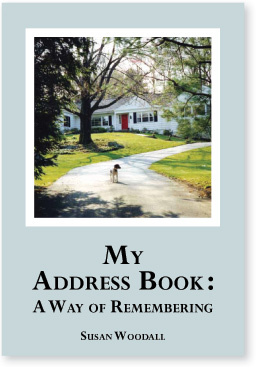 Sharpen your memory by creating your own Address Book. We are so often admonished to “live in the present.” That is good advice. But our present is shaped, influenced by, and often held hostage to our past. Unless we acknowledge and remember our past, our present and our future will be compromised.